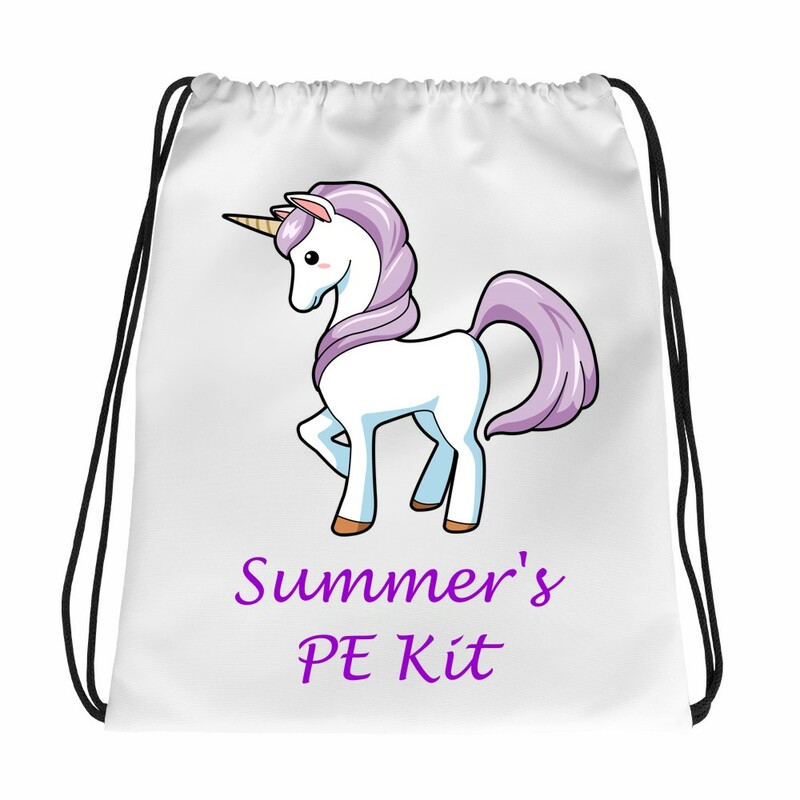 This great drawstring bag measures 32cm x 37cm, it is made from Polyester and has black drawstrings. Personalised with the unicorn image as shown, all you need to do is let us know the text you would like along with the text colour and we will create! This is a great personalised gift for Birthdays, Christmas and back to school gifts.